Cairo (CNN) -- Security forces fired Thursday at protesters in a Damascus suburb visited by Arab League monitors and more than 30 people died in regions targeted by the observers, opposition activists said. The forces shot at demonstrators assembling in the Grand Mosque area of Douma as the observers arrived at the city's municipal building, said the Syrian Observatory for Human Rights, an opposition activist group. About 30,000 demonstrators were there, the observatory said. The Local Coordination Committees of Syria, another opposition activist network, reported "massive crowds in front of the National Hospital in the presence of the Arab observers committee, who arrived after the fall of seven martyrs and dozens of wounded and detainees." An amateur video said to be from Douma showed soldiers congregating on one end of the street and protesters congregating down the road. People chanted "God is Great" and "Freedom from Bashar." Arab League monitors who had been working in the opposition center of Homs arrived in the cities of Daraa, Idlib and Hama, and visited the Damascus area. Deaths were reported in all of those regions. Of the 35 people killed on Thursday, 14 died in the Damascus suburbs, 10 died in Hama, nine in Homs, and two in Idlib province, the LCC said. A brigadier general who is the chief of a military engineering college was shot and wounded in Homs. 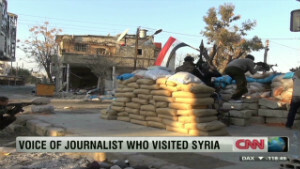 The Syrian Arab News Agency said he was assaulted by an "armed terrorist group." The observatory said a group of "unknown armed men" tried to assassinate him. Since the observers arrived in Syria on Tuesday, more than 130 people -- six of them children -- have been killed, the LCC said. Fact-finders are monitoring an Arab League initiative that calls for President Bashar al-Assad's security forces to withdraw from cities, release detainees and end violence. Arab League Secretary-General Nabil el-Araby met in Cairo with Burhan Ghalioun, head of Syrian National Council opposition movement. They discussed the purpose of the monitoring mission and its execution, the league said. Many Syrians have been supportive of the mission, but others have derided the effort as pointless. Opposition activists have criticized the selection of a Sudanese military commander, Lt. Gen. Mohamed Ahmed Mustafa al-Dabi, as the head of the monitoring group. 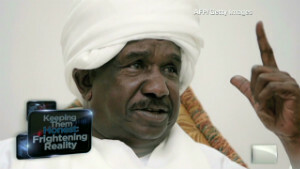 The activists said he had a key position in the government as atrocities occurred in Sudan's Darfur region. Khaled Abo Saleh, an opposition activist who said he met Wednesday with al-Dabi and others from the mission in Homs, said Syrians want the observers "to reveal the truth to the world. To show what is happening here accurately and completely and to protect civilians." "The people of Homs and the youth activists have no faith in the Arab League mission. It is clear now they are just another ploy by the Syrian regime to buy time. They are ineffective and have no resources to change the situation. "But we are doing our part showing them what is happening in Homs, submitting evidence of killing and arbitrary arrest," he said. 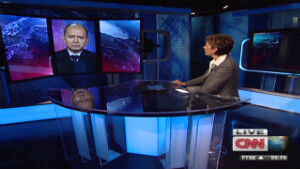 Saleh said killings have decreased but have not stopped in Syria since the observers arrived. More than 5,000 people have been killed since mid-March, the United Nations said. Activist groups count more than 6,000 deaths. 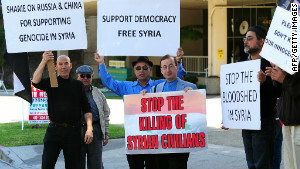 "Generally, we have 25 to 30 killed in Homs every day, now maybe the death toll is nine to 10. But the martyrs cannot be counted in numbers; they must be counted in the loss to their family and the devastation to their people," Saleh said. "I told al-Dabi that 15 people were killed in a protest the day the mission arrived in Homs. I showed him the body of a toddler killed by Syrian security forces. I took him to see the destroyed neighborhoods and the parts of Homs completely cut off from food, water, and electricity," Saleh said. CNN cannot independently verify opposition accounts of violence or reports of deaths and injuries in Syria. Al-Assad's government has restricted access by international journalists. An Arab League official told CNN that 75 monitors were in Syria with more expected to arrive in coming days. A permanent team will remain in Homs, which had been under a military siege for days, said the official, who asked not to be named. Ibrahim Zafarani, a founding member of the Arab Doctors Association, pulled out of the Arab League fact-finding mission after being selected as a monitor, saying he disagreed with the mission's methods. On Thursday, he added his voice to the growing criticism of al-Dabi, saying, "All I see now is the head of the mission barely announcing any information, while dozens have died in the first two days of the mission." "I would not have allowed people dying under the umbrella of the monitors mission and face the guilt," he said. In Washington, State Department spokeswoman Victoria Nuland noted that a video posted on YouTube shows a democracy rally in Idlib "that went forward with quite a crowd, at the same time that the monitors were there. So clearly, their presence appears to have provided some space for public expression." She added, "we see some, some positive signs, but not enough." She noted "a modest prisoner release," but said that the highest-profile political activists remain incarcerated. In Syria, the unrest began in March when the government brutally cracked down on peaceful demonstrators calling for political reforms and criticizing security force actions. The movement quickly spiraled into a call for the ouster of al-Assad.